An international research team aims to protect human health and the environment by improving agricultural practices in four Asian countries. As nations rapidly develop, agriculture intensifies, providing numerous economic benefits. But intensification can also damage the environment and pose serious health risks. Human health depends on the well-being of surrounding ecosystems. This has led to an area of study called “eco-health”. The Field Building Leadership Initiative, supported by IDRC, aims to address the associated health risks of intensive agricultural practices in Southeast Asia and China. Over the past five years, the international group has investigated specific problems and potential eco-health solutions in China, Indonesia, Thailand, and Vietnam. The scientists tested urine samples from farmers in Yuanmou, a key vegetable-growing region in China, where 28% of the samples contained traces of at least one pesticide, even though the region switched to “low toxic” pesticides in the early 2000s. 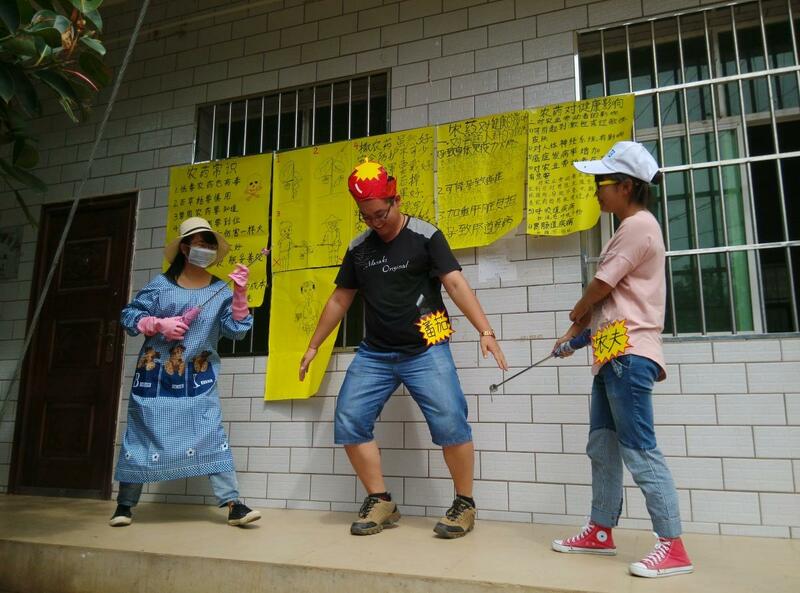 The team distributed informational calendars and performed street theatre in villages to educate the farmers about how to reduce pesticides and use them safely. Another team found an increase in the incidence of dengue and chikungunya around the rubber plantation areas in eastern Thailand, and the rubber workers had limited knowledge of these vector-borne diseases. Heavy metals and the bacteria E. coli and Salmonella were also found to be contaminating water in the area. Inappropriate disposal and handling of chemicals, including poor self-protection and sanitation, were observed. Apart from providing health education, the research team promoted the use of insecticide-impregnated screen jackets as one self-protection measure. A pilot vector-control intervention introduced super-sterile male mosquitoes into the environment to reduce vector populations and risk to the diseases they transmit. In Vietnamese communes, the group tested biogas — fuel produced using human and animal waste — and found the wastewater resulting from its production exceeded standards for the bacteria E. coli and Salmonella, the parasite Giardia, and other harmful contaminants. Biogas wastewater used as fertilizer also put farmers at high risk of diarrhea. Villagers appreciated having a biogas expert speak to them about proper management, and some villages implemented new sanitation rules as a result of the project. Almost 30% of Indonesia’s milk production occurs in West Java. However, research in the West Java district of Pangalengan revealed that smallholder dairy farmers struggled with low milk yields and quality, and poor farm sanitation practices. The researchers developed ways to convert cow waste and earthworm feces into fertilizer. They also developed a food supplement for cows made of molasses, probiotics, turmeric, the leaves of star gooseberry and earthworms. These not only created a new source of income for farmers, they also proved effective in increasing farmers’ yields. While influencing decision-makers to adopt eco-health policies remains a challenge, the Field Building Leadership Initiative underscored that headway has been made through networking and engaging with local communities and other stakeholders. As a result of the Field Building Leadership Initiative, eco-health has been integrated into the curricula of four universities in Southeast Asia (Vietnam, Thailand, Indonesia) and China. More than 400 professionals and graduate students attended workshops across the region to learn about eco-health and leadership, building a new generation of eco-health professionals. The original version of this article was published in the 2017 edition of Asia Research News.